INZELL, GERMANY - Pyeongchang Olympic silver medalist Miho Takagi finished second in the women’s 1,500-meter race on Sunday, the final day of the ISU World Single Distance Speed Skating Championships. “I feel strongly that I was utterly defeated (facing Wust) this time. Even though I had my best race of the season, my opponent was strong,” Takagi said. 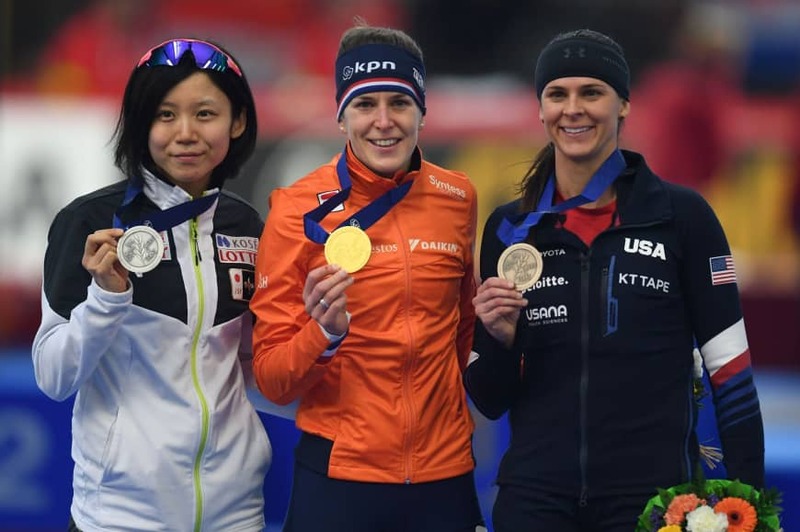 The 24-year-old Japanese said she is looking forward to the World Sprint Championships in Heerenveen later this month, and hopes to defend her title in Calgary at March’s World Allround Championships. Takagi’s older sister Nana finished 13th, while compatriot Ayano Sato was 16th. Sato finished fifth in the women’s mass start held shortly after midnight. Nana Takagi, the mass start gold medalist in Pyeongchang, was 15th. 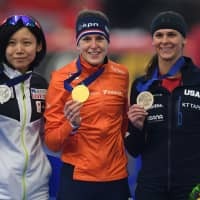 Pyeongchang bronze medalist Irene Schouten of the Netherlands won the irony-filled race. Last year, in Pyeongchang, Takagi and South Korea’s Kim Bo Reum were second and third behind Schouten going into the final corner. Each moved up a place on the podium, however, when Schouten slipped on the final turn and skated wide. In the men’s 1,500, Japan’s Seitaro Ichinohe narrowly missed the podium and finished fourth in a personal best 1:43.54, while Thomas Krol set a track record with 1:42.58 for gold. Japan’s Masaya Yamada was 10th and Takuro Oda was 12th. Ichinohe was fifth in the men’s mass start, while Shane Williamson was 17th.